"One does not enter the same river twice" is today a shabby cliche repeated to exhaustion. For Heraclitus, the act of repetition is something like an improper denomination, consisting of the return not of the same, but of the different - the return of something different, of something else. Therefore, there would indeed seem to be no return ... For two "things" are never identical or exactly alike. This installation uses several conceptualisation strategies. The work, to use the language of the Situationist International, can be freely described as a détournement of an earlier work. A "deviant" work, as in the détournement, is a variation of an earlier work known to the public. The new work has a meaning that can be antagonistic or antithetical to the original work, but it is always a revaluation of the previous work so that the opposition of the new message can be understood. We believe that this facility will be a détournement of Barravento de Rocha, creating a contemporary and positive revaluation of the original. The new cast chosen for the role of father and daughter develops a new socio-psychoanalytic interpretation of the original film of Cinema Novo. 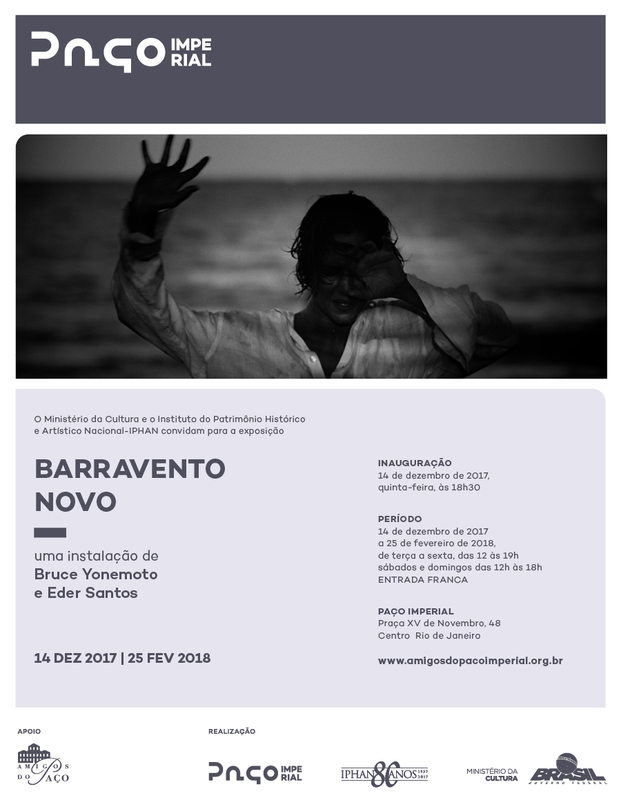 Due to the advanced age of Antonio Pitanga, this documentation will also be a historical homage to his contribution to Brazilian cinema and to the representation of Afro-Brazilians in international cinema. The installation also deals with the evolution of the quality of film from analog film to digital recording. The two screens create a dialog of kinematic proportions, also expressing the impact of digital recording on performance. The installation Barravento NOVO repeats, but with a difference. Debating the materiality of the film in contrast to digital recording and the strength of Glauber's writings still written over half a century ago, we hope to open new critical paths.